Christian drug rehabs practice prayer and Bible study as its primary focus in ending drug or alcohol addiction. In addition, Christian addiction treatment centers do a great job of also getting to the underlying issue of the reasons for self-medication. Christian addiction treatment centers are like 12 step programs in many ways with a heavier emphasis on religion and faith. The purpose of Christian rehab is to clear the wreckage of the past of the addicted person and then utilize faith, bible scriptures, and the church as a way of turning their life over so that they never have to live in ruin again. The faith is a large part of the initial program but is an even more important part of the aftercare. Those who leave Christian addiction treatment centers are expected to incorporate all aspects of their faith into their individual recovery program. A good example is how so many people find God in jail or prison and then shortly after their release they forget everything they have believed or learned and end back up in prison. The same goes for addicts leaving Christian drug rehab centers; if they keep God close and continue to believe then they are most likely not to end up back in rehab. As stated earlier, Christian addiction treatment centers are similar to the 12 step treatment centers. If you compare a Christian treatment centers steps to the 12 steps of A. A. or N.A. you will see the similarity. Both programs are about turning your life over to a higher power. The problem with most addicted people is that they try to run on self-will and not Gods will. Not to mention how addicts and alcoholics think they have the answers to everything and that is a big reason of why they fail. It states in Hoshea 4:6 “My people perish for lack of knowledge”. That says it all, when our way does not work, we need to ask for knowledge and guidance. Admit he/she has no power over his addiction and their life is unmanageable. Realize that only a power greater than themselves, God, can restore them. Decide to turn their life over to God and put all trust and faith in Him. Make a searching moral inventory of themselves. Admit to themselves, to God, and to another person the nature of their wrongs. Become ready for God to remove all defects of their character. Ask God to remove his/her shortcomings. Make a list of everyone they have hurt and becomes willing to make amends to those people. Make amends to any of those people whenever possible, except when doing so may cause harm to themselves or others. Continue to take a fearless moral inventory of themselves and immediately admit when they are wrong. Use prayer and meditation to improve their conscious contact with God, as done in the bible. The addict also prays for knowledge of God’s will and also for the power to be able to carry out His will. Because of these steps, the addict will have experiences a spiritual awakening. The addict then carries this message to other people and continues to practice these principles. Christian drug rehab recovery programs help addicts to recover successfully and stay sober in a way that other, non-faith-based treatment facilities are not able to. 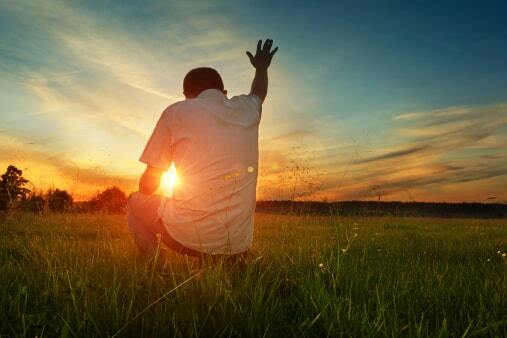 Prayer is the main aspect of the treatment process in Christian rehabs and is used in all meetings. Recovering addicts are encouraged to find God in their hearts every day and pray whenever they need help. Even after treatment, recovering addicts continue to use prayer and belief in God to get them through whatever comes their way. We also have more information about other types of Addiction Treatment Centers. Once again, Christian drug rehabs show alcoholics and drug addicts that if they put their lives and faith in the hands of God, they will get through the difficult recovery process.